My name is Sam. I'm 11 years old, and I am passionate about gardening and alternative growing methods. I like to garden which means that I would do anything for my plants’ health. So last year for my birthday, I got a worm farm, not the typical thing a ten year old would get, but I did. So all year I read articles, took classes, watched videos, read more articles, and finally, I learned how to successfully run my worm farm. Now, I want to teach you! Every week I will post about a new step of worm farming, and soon you will be able to do it yourself. Next week I’ll talk about what to buy. Radishes are really easy to grow. They don’t take very long to grow. And they’re one of the only plants that I put the seeds directly into the ground. Even though they are small seeds and hard to keep track of, they sprout very quickly and the sprouts look unique so they’re easy to identify as not weeds. The leaves in this picture are not the real radish leaves. These are called cotyledons. All plants that use seeds instead of spores have cotyledons. I’ve learned that you can plant radishes just about any time of the year, as long as it’s not boiling hot or freezing cold. And of course, you can plant them anytime in a pot and keep them indoors. 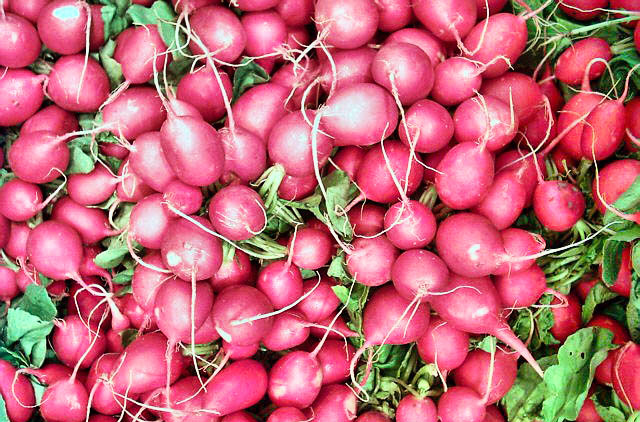 A radish takes about 1 to 2 months to get a harvest, especially cherry bell radishes. They are very small, and they grow very quickly. 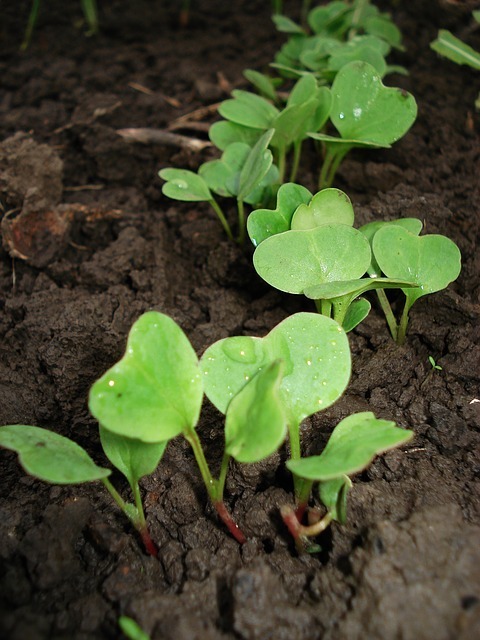 You want to make sure that you water radishes on a daily basis, and keep your radish garden weeded very well. Here are the three types of radishes that I grow. Cherry Bell radishes are tiny but still spicy. Sparkler radishes have white bottoms, and they look cool, but they’re also very small. Champion radishes are usually the ones you get at the store because they’re huge. 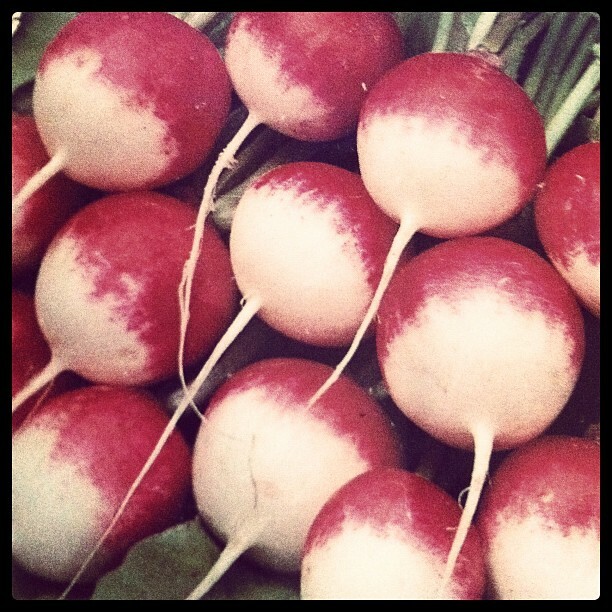 If you want to learn a lot more about radishes, here’s a cool website I found. Be sure to leave a comment, and tell me your favorite radish story.